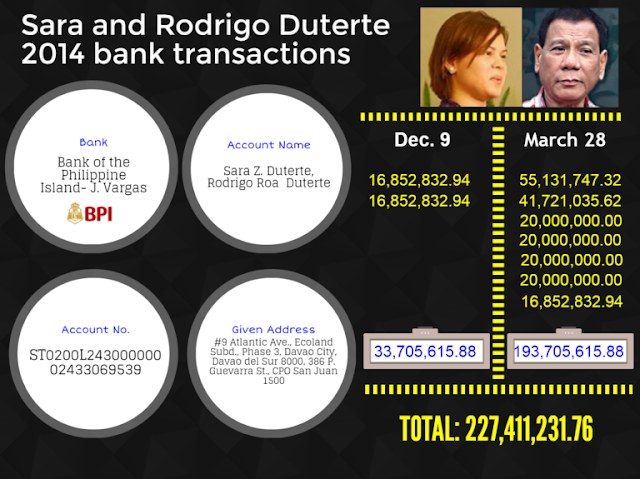 Alleged evolution of the BPI Account of Duterte has gone viral! Home / News / Alleged evolution of the BPI Account of Duterte has gone viral! 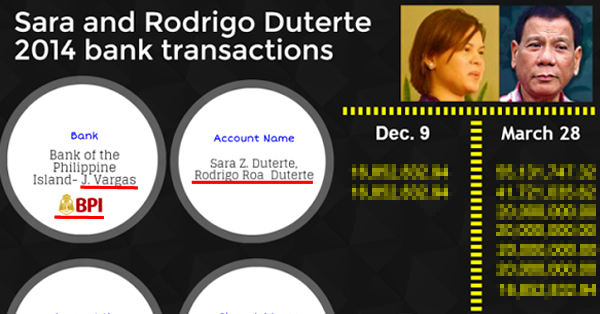 The speculations about Mayor Duterte having P211 Million pesos in a secret account which was joined by his daughter Sarah quickly sparked rage on the social media users. The accusations were handed out by the Vice-presidential candidate, Antonio Trillanes IV. This amount is not declared on the SALN of the presidential candidate. 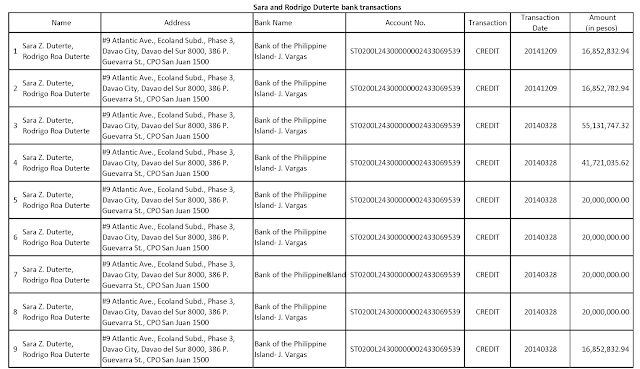 Based on the reports, there are 8 deposits that happened on March 28, 2014, the 69th birthday of Duterte. And the other two was made on Dec. 9, 2014. According to the Republic Act 6713, the government employees and public officials are required to file their SALN.